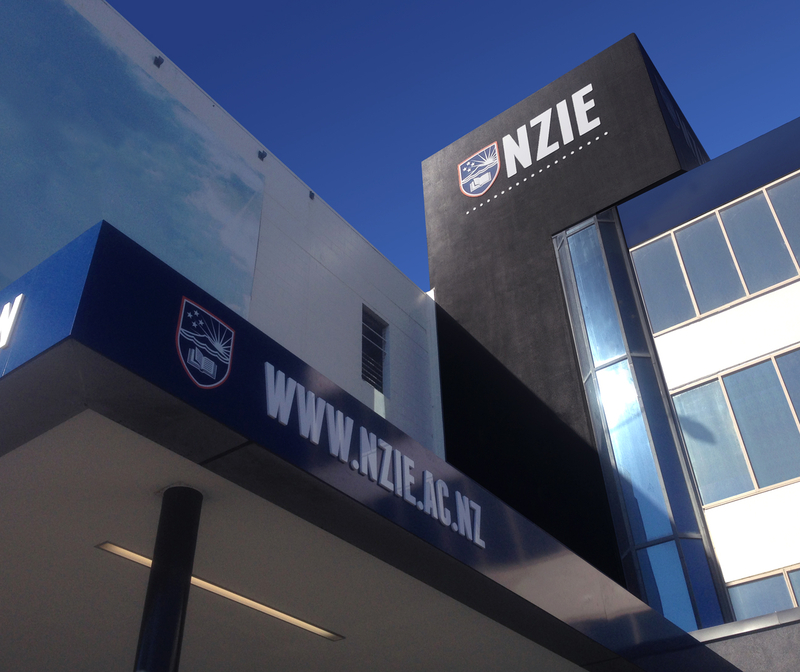 The New Zealand Institute of Education (NZIE) is one of the top private tertiary education providers in New Zealand and is situated in the ever sunny North Shore suburb of Takapuna in Auckland. It’s also one of the longest running privately owned schools in New Zealand, thanks to its great courses, lecturers and dedication to helping students achieve their academic goals. 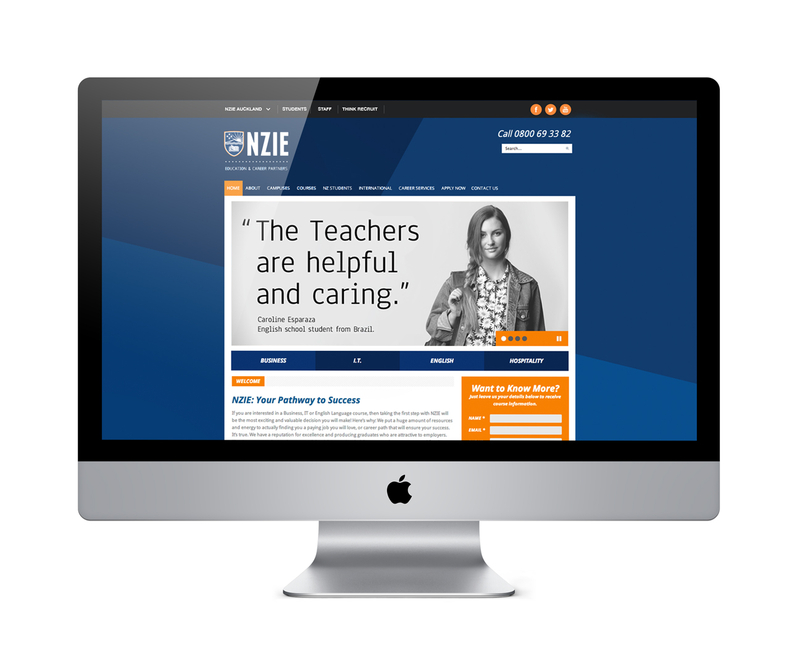 NZIE (New Zealand Institute of Education) wanted to redevelop their corporate identity to fit in with the current times – as their previous logo was out dated. In addition to this, they were looking at expanding and were in the process of setting up a campus in Manukau and Botany. 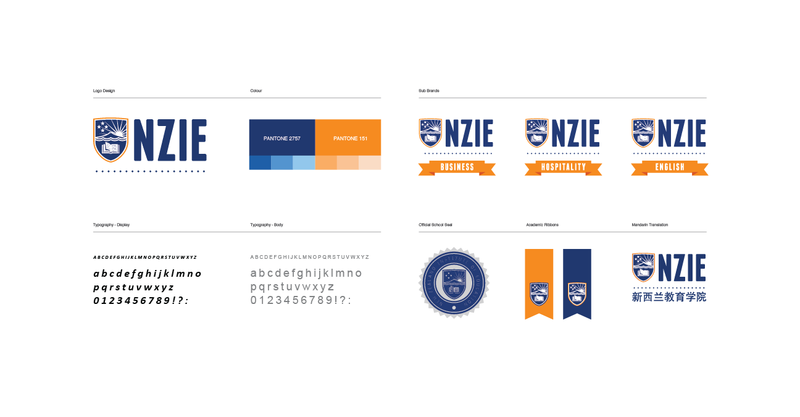 So what was initially meant to be a logo redesign, soon turned into a full scale rebranding and identity roll out. 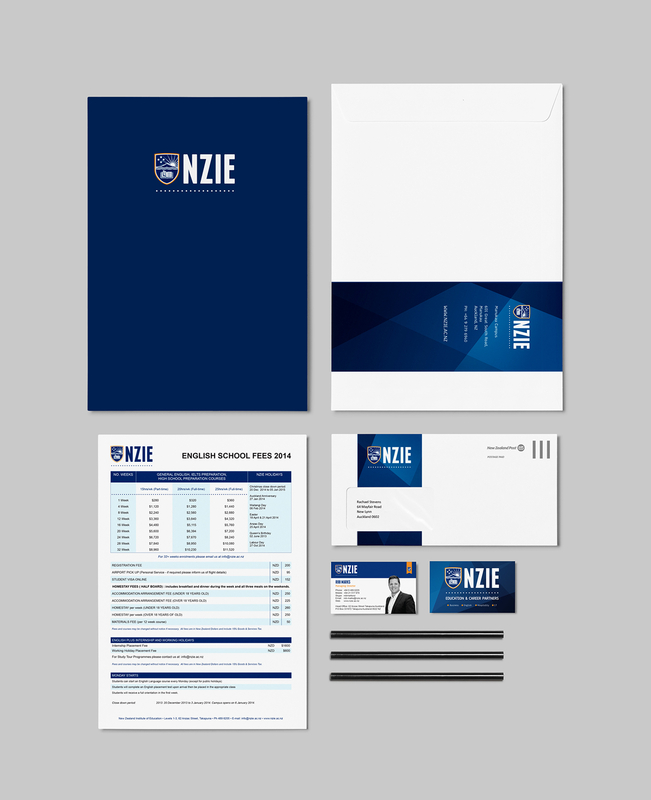 Starting with the internal collateral and brand guidelines and then working with other vendors such as web designers and sign writers to change the entire face of NZIE. 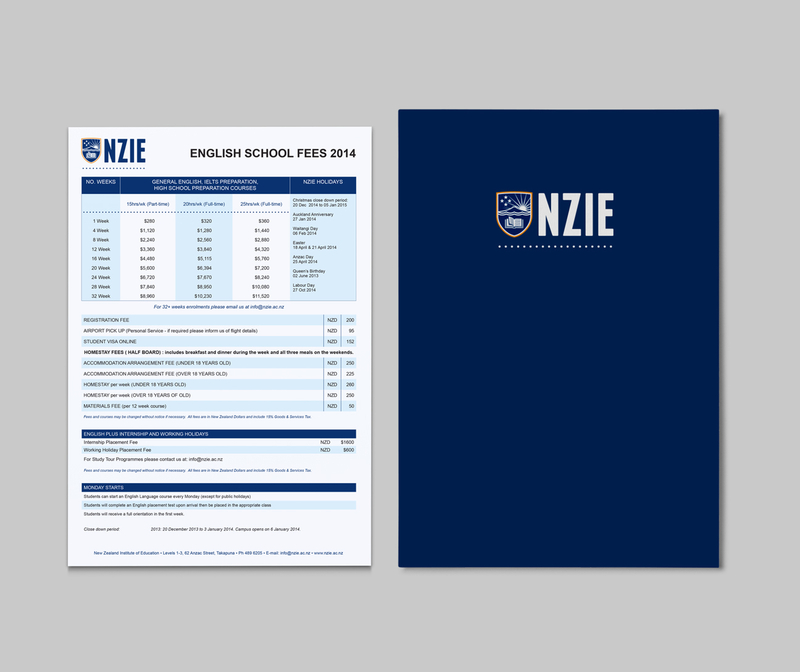 The brand as a whole is predominantly Navy Blue. To offset and compliment it, a bright orange is used in small doses in the form of trims and ribbons to give the brand a fun and vibrant tone to coincide with the youthful Atmosphere in the school. 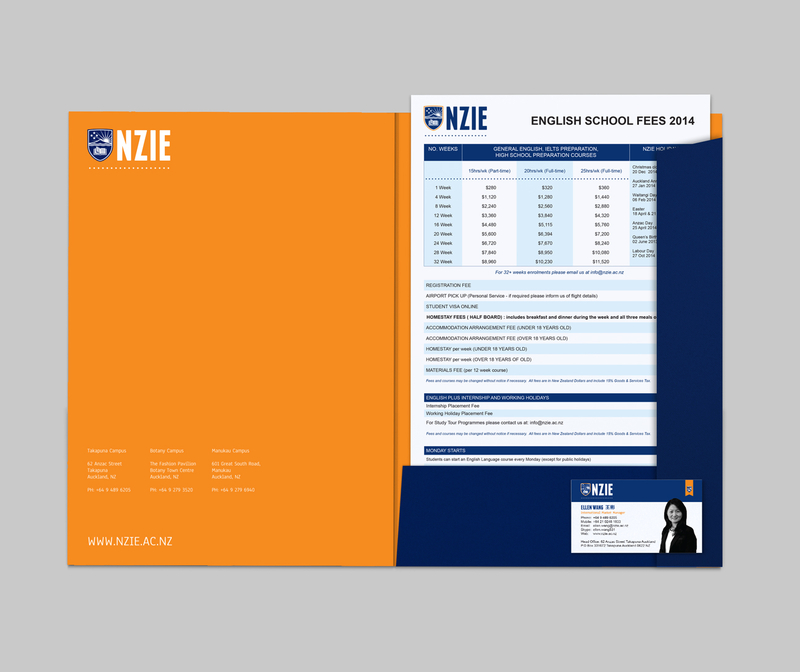 In the case of the presentation folder; The entire inside uses the bright orange, giving it a breath of fresh air from its professional exterior. Business cards are one of the most important tools for networking. 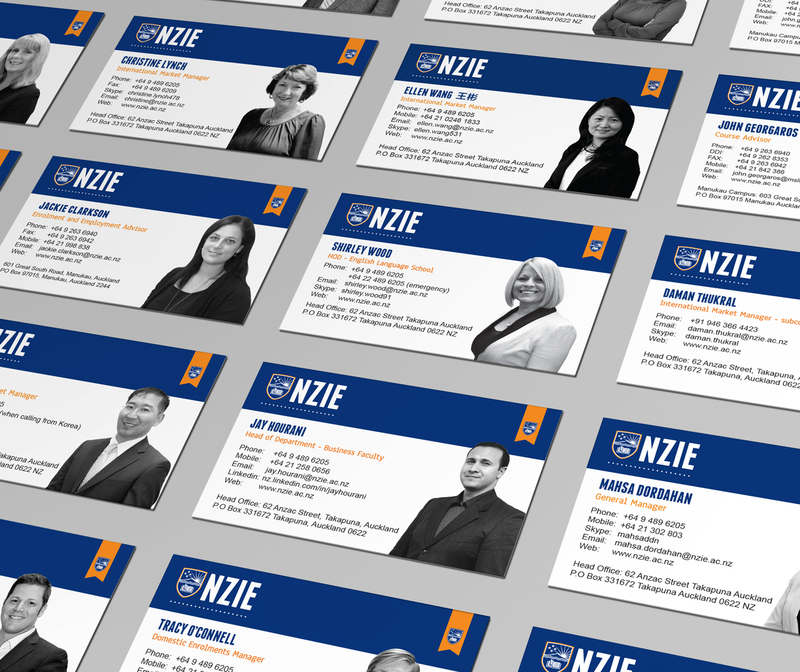 So to put a face to the name, the staff at NZIE all have personalised business cards with their image set along side their very important contact details. Each image is taken on a good hair day and then retouched before placing on their card. The final stage of the identity development was to create the final look for a new fully device responsive website which was both informative and allowed ease of use. Development was then passed on to a local web development firm for final output. 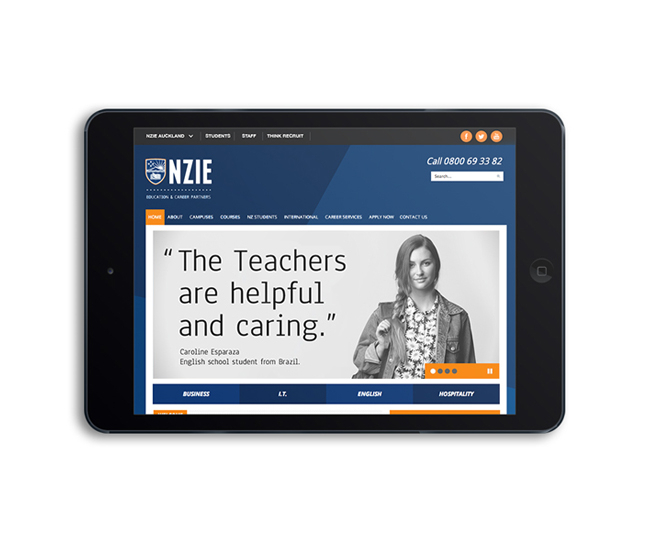 This is probably one of the biggest jobs I have ever taken on in my career, and I am forever grateful to the managing directors of NZIE for letting me work with them to develop this great brand which will most likely become an even greater name in New Zealand’s education industry in years to come. 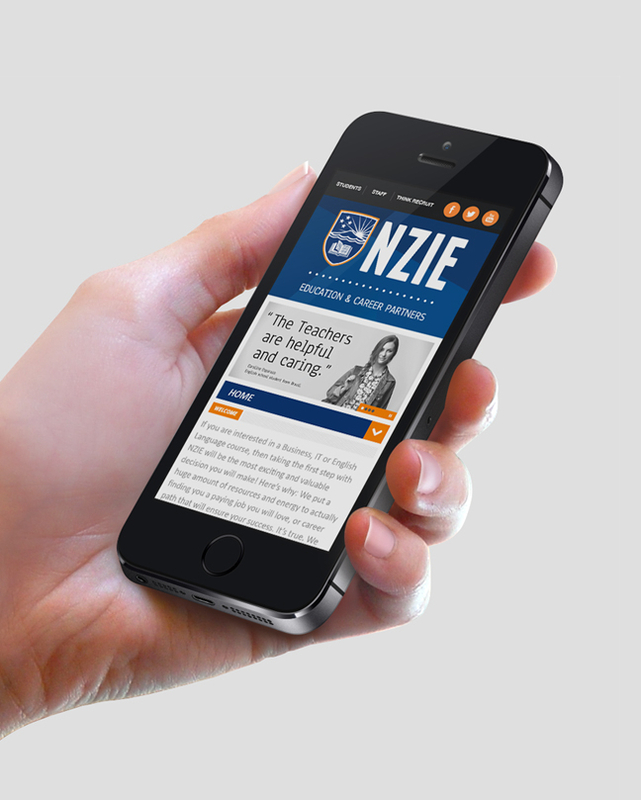 – And not because of all the hard work I did, but because NZIE is in fact a great school. The service they provide to both international and local students is exceptional. 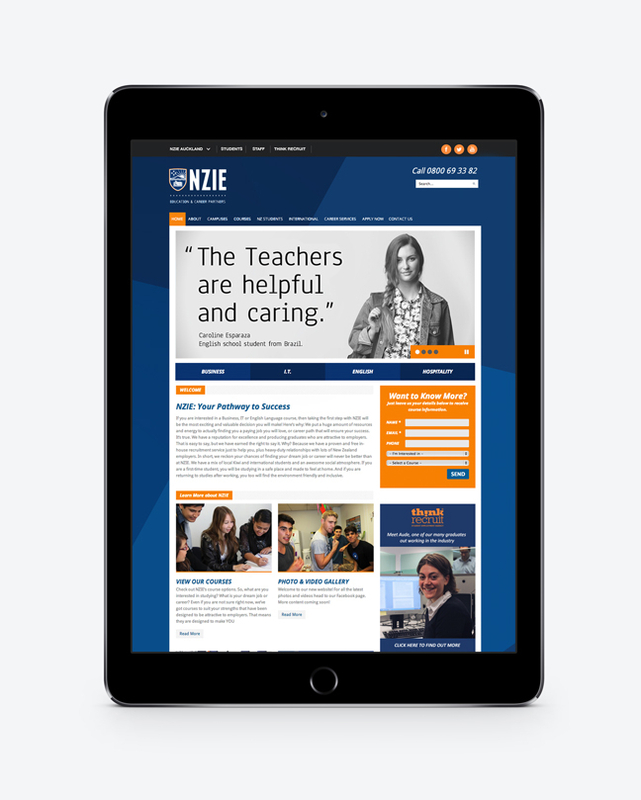 They make sure all their students are taken care of and that they have a great educational experience while studying at NZIE. I simply developed a an identity that lived up to their awesomeness.